I hope my sister isn’t reading this! Well it won’t be much of a surprise anyway as she knows what I was planning on getting her as we discussed it the other day! I had to get my skates on and make these up this weekend before I miss the international postal deadline! 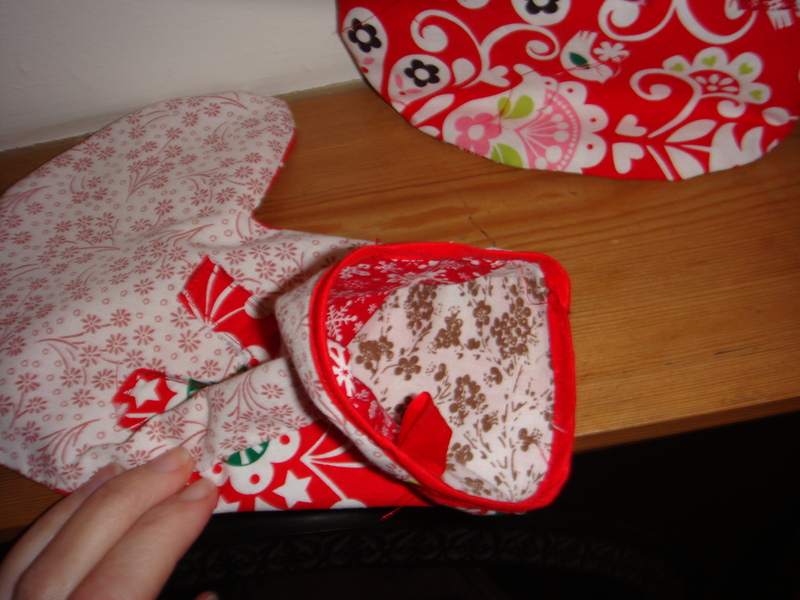 These were incredibly easy to knock up – they are pretty miniature as I didn’t have that much fabric! I just drew a simple pattern on an A4 piece of paper and went from there. 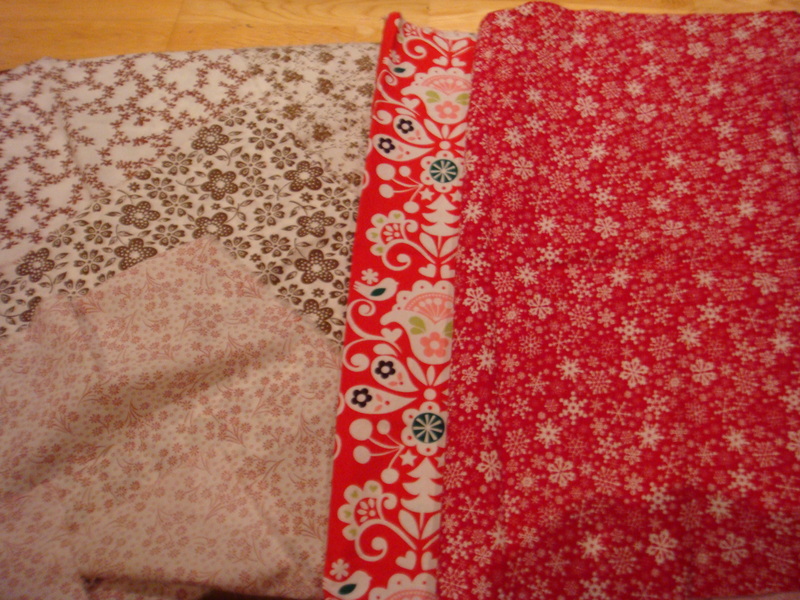 I bought the fabric last year intending to do something with it then but didn’t, they are just a few fat quarters I got off eBay. 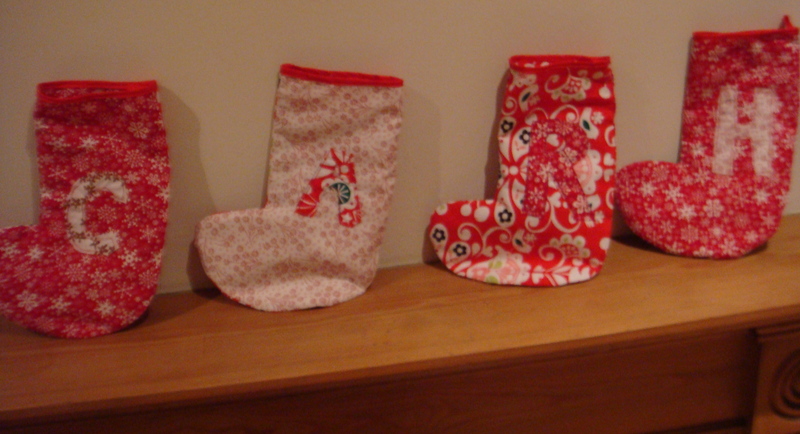 The stockings are all multicoloured on the inside and outside and then finished with red bias binding and I sewed in a little bias binding hook too. 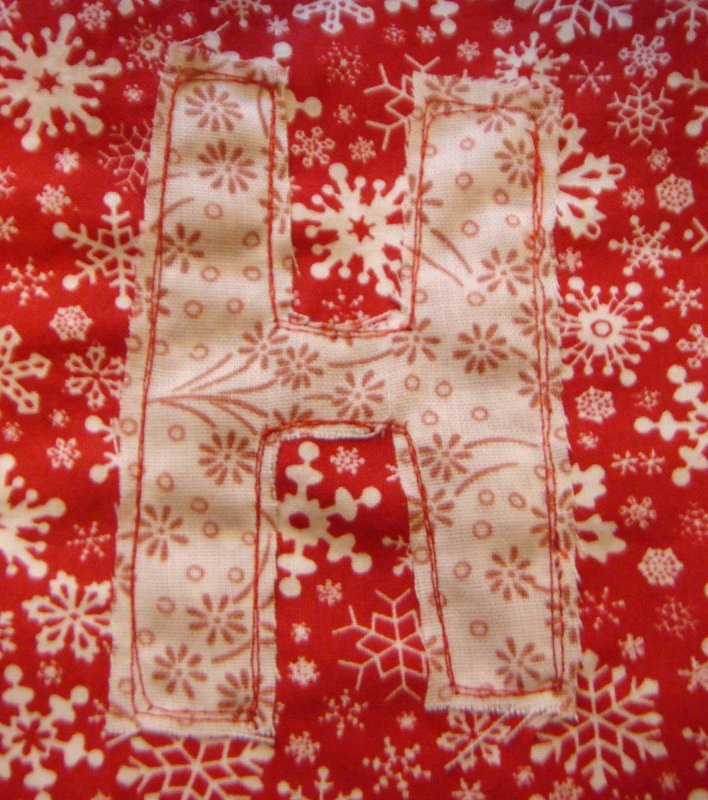 I put the initials of my sister’s family on each of the stockings and then tried my hand at some free motion quilting – I have a book on free motion quilting by Poppy Treffry (A British textile designer)- whilst I dropped the feed dog and tried my quilting foot, i preferred just sewing slowly with my normal foot and with the feed dogs up.